Stainless steel and ABS engineering plastics material, high temperature resistant, soft and strong, not easy to burst, high shape stability, strong anti-stamping, UV radiation. 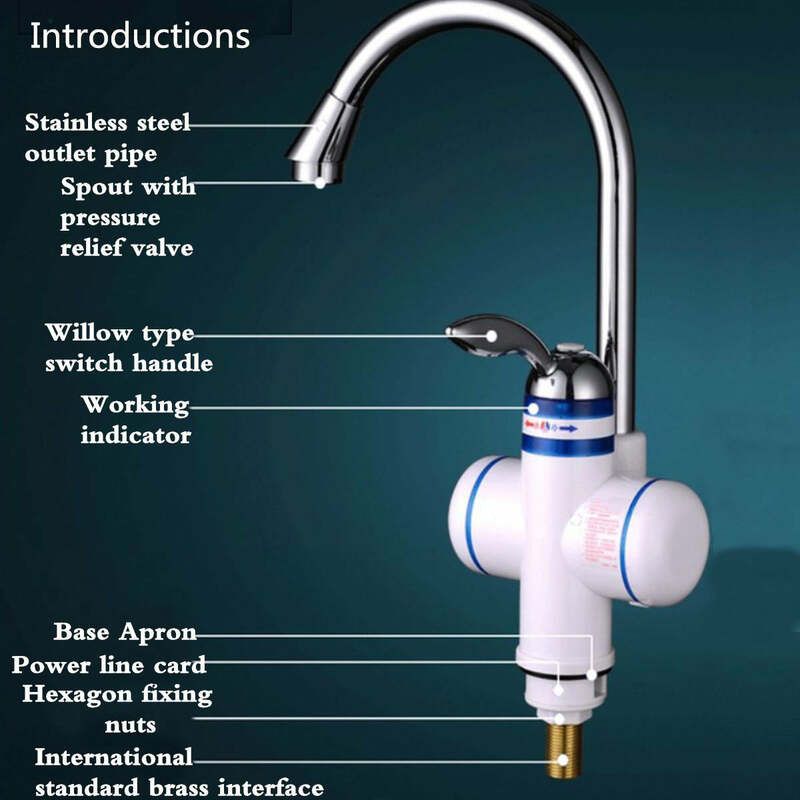 The faucet elbow can be rotated 360 degrees. Power unified are the 3000-watt, 5 seconds fast heat! Temperature at about 30 degrees to 60 degrees. Simple design, saving water and electricity for your household consumption. 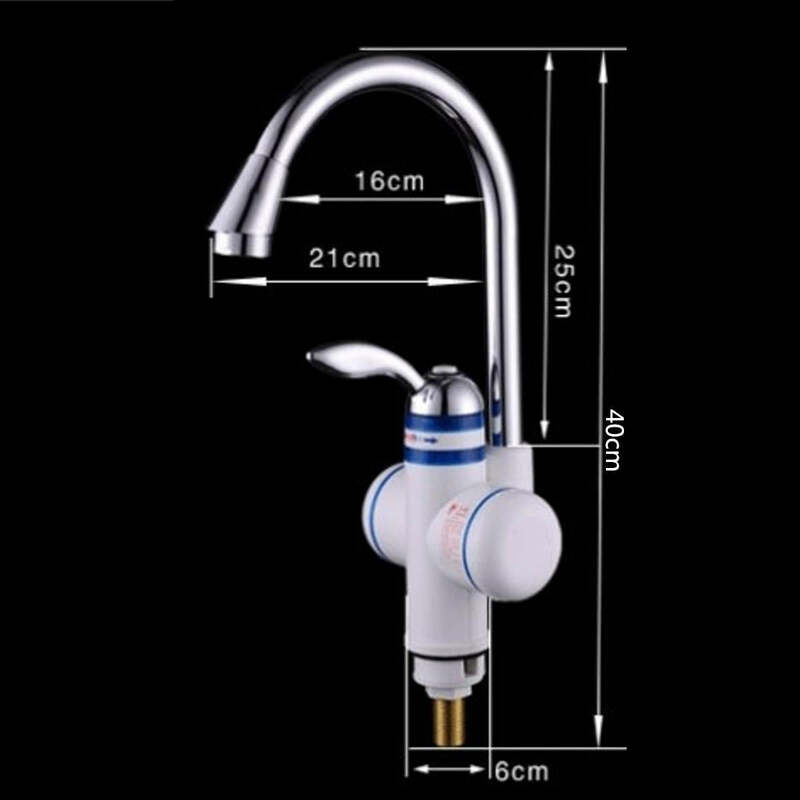 Easy to use and adjustable water temperature. Indicator for the power heating indicator, color blue, blue light that the machine is heating.